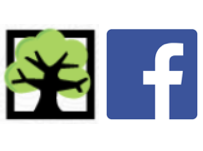 This year we have introduced a new Facebook group for the FSRN Community Campus Garden. Please follow the link below and join the group to keep posted on all news from the garden and to interact with other gardeners throughout the year! Do you know of any students who are passionate about campus food, and interested in being a part of Meal Exchange’s newest program? Meal Exchange is looking for students enrolled at Ontario Universities for a paid short-term stipend position beginning March 15th and ending April 15th. Find out more at the link below! Meal Exchange empowers young people to take an active role in creating a just and sustainable food system. A national registered charity founded in 1993, we work with over 40 universities and colleges in Canada and our programs have been run in over 100 communities across the country. For more than 20 years, Meal Exchange has been supporting student leadership, local innovation and promising solutions to increase food security and sustainability. It is almost that time of year again! The Food Security Research Network is pleased to announce that the Community Campus Garden will be open once again for the Spring 2017 season. 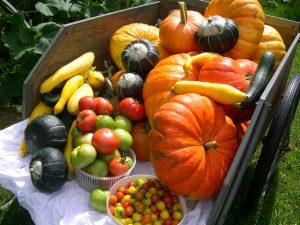 The campus garden is a public green space on the Lakehead University campus where members can grow their own fruits and vegetables. it is also an excellent place to interact with other community members and learn more about gardening. Registration will open on Friday, Feb. 3, and will be available to new and existing members. No previous gardening experience required! Please visit the garden page under the What We Do tab for registration forms and please a link to our newly updated Facebook group. The Horticultural Therapy Certificate at Lakehead University will provide hands-on experience with many therapeutic horticultural practices and projects. The first course will be offered in Spring of 2016, and will be comprised of 6 hours weekly for 6 weeks of combined educational and practical experience.